Cargo box capacity (weight): 227 kg; 500 lb. Towing capacity: 680 kg; 1500 lb. Fuel capacity: 28 L; 7.4 U.S. gal. Wheelbase: 1.86 m; 72.8 in. Dry weight: Wet weight (includes fuel/fluids): 650 kg; 1434 lb. Length: 2870 mm; 113 in. Width: 1435 mm; 56.5 in. Height: 1867 mm; 73.5 in. Tread centers: Front: 1220 mm; 48 in. ; Rear: 1168 mm; 46 in. Ground clearance: Minimum: 267 mm; 10.5 in. Payload capacity: 408 kg; 900 lb. Manufacturer's suggested price in USD. MSRP may be different in California. Shown with optional equipment not included in the price. Attachments and implements sold separately. Taxes, destination charge, freight, setup, and delivery not included. Equipment, models, features, options, attachments and prices may vary by dealer. John Deere reserves the right to change specifications, model features, design, and price of the products described here without notice. Before operating or riding, always refer to the safety and operating information on the vehicle, and in the Operator's Manual. Actual vehicle top speed may vary based on belt wear, tire selection, vehicle weight, fuel condition, terrain and other environmental factors. The engine horsepower and torque information are provided by the engine manufacturer to be used for comparison purposes only. Actual operating horsepower and torque will be less. Refer to the engine manufacturer's website for additional information. 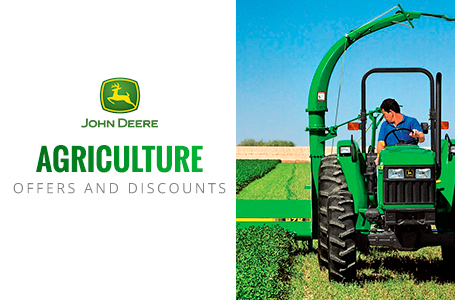 Save 15% on New John Deere Air Conditioner parts for 6 & 7 Series Tractors. Offers is available on A/C parts such as: hoses, lines, fittings, compressors, condensers, expansion valves, and more! Save 15% on select New John Deere Material Collection Systems, Mulching Kits, and Bluetooth Connectivity Attachments. 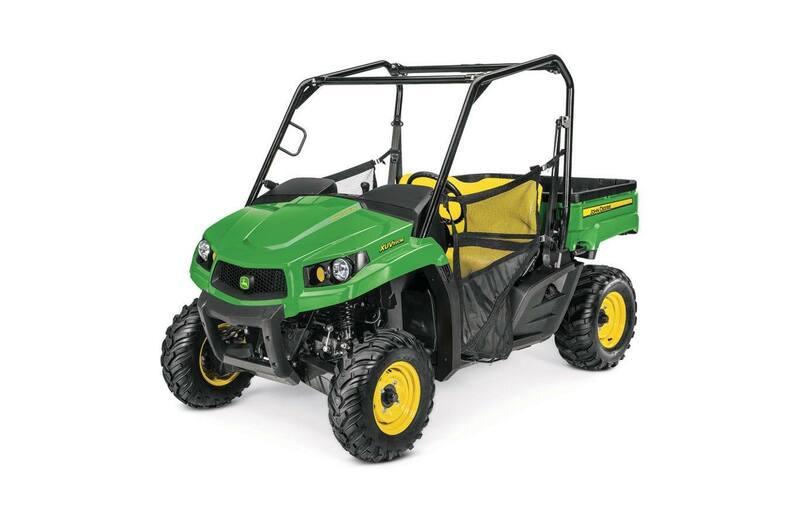 Save 15% on select New John Deere Gator Utility Vehicle Light Kits. Save 10%† on New John Deere Rotary Cutter Blades. Save 10% on Select New John Deere Round Baler Attachments. For a limited time take advantage of the discounted annual price of $200 on JDLink Connection Subscriptions for 4G LTE and 3G Module Telematic Gateways (MTG) terminals.